When not wildly misinterpreting High School Musical or The Walking Dead, YouTube user Bad Lip Reading spends a lot of time on politics as well. Whether it’s the terrible promos the candidates cut or the many debates they undergo, all are fair game under BLR’s terrible ability to figure out what people are actually saying. And now, the inept lip reading videographer has turned his attention to Democratic National Convention. 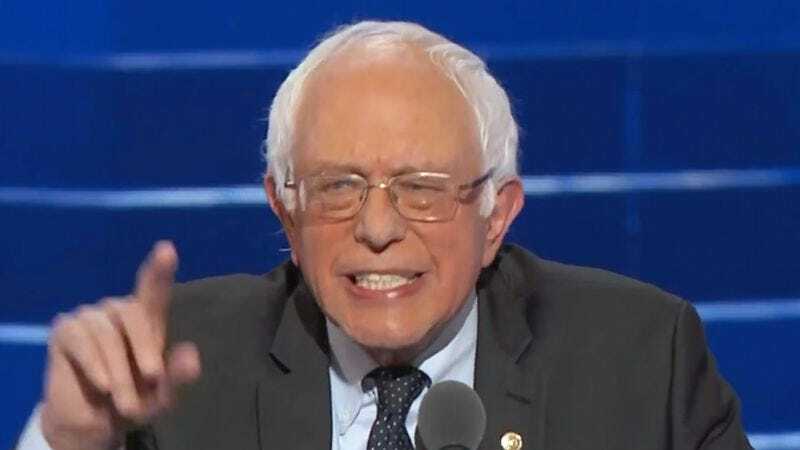 Seen through the eyes of Bad Lip Reading, the DNC becomes a weird world of half-hearted cheering for Pokémon, gibberish spouting speakers on the stage, and some weird musical interludes from Alicia Keys (and Bernie Sanders threatens to sing as well). Everyone is in full support of “Hickory Nick,” as well as awkwardly hurling nonsensical insults to the distinguished competition. It would certainly be a more lively political scene if people adopted this Mad Libs style approach to speaking at conventions, but it probably would just lead the world faster into chaos. Fun, musical, absurd chaos.